The Lee Ram Prime allows your press to perform the priming operation on the up-stroke for more "feel" and leverage. 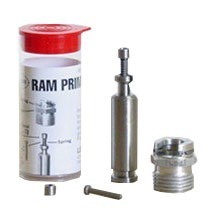 Lee Ram Prime fits all brands of single station presses, for both large and small primers. Uses universal press-type shellholders. 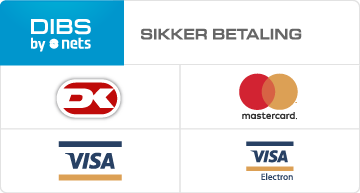 Lee Ram Prime giver dit Tryk på for at udføre handlingen priming på up-takts for mere "føler" og gearing. Lee Ram Prime passer alle mærker af enkelt station presser, for både store og små primere. Bruger universal press-type shellholders. I started out my reloading career with a Lee hand press. This is what came with it. The only thing that I have to compare it to is the Hornady hand primer, and I actually prefer this when making large center fire rifle ammo. I take my time and make sure that I've done everything correct, and this is perfect for that. You really can feel the primers going in. I have been doing experiments with different kinds of brass longevity, and I can tell from the way the primer goes in if I'm priming Winchester, Federal, or Hornady. It does a good job at seating to the correct length as well. Mfr Part: 90106 734307901066 Lee Ram Prime giver dit Tryk på for at udføre handlingen priming på up-takts for mere "føler" og gearing. Lee Ram Prime passer alle mærker af enkelt station presser, for både store og små primere. Bruger universal press-type shellholders.